Being an Angel Therapy Practitioner® means so much to me. I was so lucky to have studied under two beautiful women who really taught me so much about the Angels and Angel Therapy. I am also grateful to have had the opportunity to study and be certified as an Angel Therapy Practitioner®) with Dr. Doreen Virtue, PhD. And it is the gentle energies of warmth, love and the intuitive knowledge that come to me while I am working with the angels that I wish to share with my clients. From this place of knowing, I can discern the story of the situation confronting a client and offer possible solutions and guidance. As an Angel Therapy Practitioner®, I offer support and reassurance to clients as they travel on their paths to move forward toward resolving issues. I am guided as to which angels to call upon for assistance and guidance for each challenge a client might have. Rev. 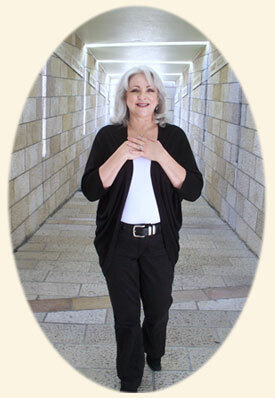 Nancy E. Livingston, co-founder of Divine Love Institute™, is a Certified Angelic Master Instructor at Divine Love Institute™ providing Certifications for students who would like a closer connection with The Angelic Kingdom. If you are interested in learning about Angel Oracle™ Cards or how to become a Divine Love Angel Practitioner yourself, please contact me. Do you have a strong desire for change? Perhaps you are unclear about the messages that you are receiving? You can enjoy a closer connection with The Angelic Kingdom! You Can Become a Divine Love Angel Practitioner! Join Nancy and the Angels in a loving two-day workshop of self-healing, fun, and illumination! Absolutely Know That You Are Never Alone! Upon Completion of the course, you will have earned a Level I (Guardian Angel) Angel Practitioner Certification. Enhance your ability to receive messages from The Universe with my unique hands on process! The Angel Oracle™ Certification workshop is based on Ancient Divination Tools. Learn About Angels . . . Goddesses . . . Ascended Masters . . . And Discover Yourself! Upon Completion of the course, you will have earned an Angel Oracle™ Seminar Certificate! Angelic Master Instructor, Nancy E. Livingston, is now offering Angel Sessions. Learn to Know YOUR Angels! Feel More Peace and Harmony! If you are interested in learning about Angel Oracle™ Cards or how to become an Divine Love Angel Practitioner yourself, please contact Nancy online. Website by Moore Design Solutions - "Affordable Web Site Design Services"